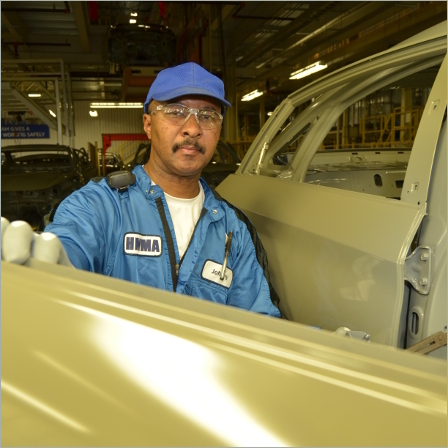 HMMA Team Member: Johnny Shaw | Hyundai Motor Manufacturing Alabama,LLC. Paint shop team leader Johnny Shaw joined the HMMA family 11 years ago, in February 2004. At that time, he says his days were spent learning the ropes to prepare him for his job in paint. Upon returning from Korea, Johnny was sent to Trenholm State for more auto/body repair training, and then finally was able to take his place on the assembly line. That, of course, is nothing compared to the 1,550 cars HMMA now builds each day, but Johnny says that early experience is what has made his team so successful now.